Health is an incredibly personal matter. So when thinking about whether to go to the doctor, have a check-up or take up an offer of screening, people should know exactly what is involved to enable them to make a choice that is right for them. The issue is that, despite all the evidence showing that screening finds women with breast cancer earlier, there are also risks that women need to be aware of which I will come to later. But to be clear - there are undoubtedly benefits. The independent review on breast screening carried out by Professor Michael Marmot in 2012 concluded breast screening saves 1,300 lives in the UK each year and that the benefits outweigh the risks. However, as mentioned, there are harms. In common with all screening programmes, the tests are not 100% perfect. So some women will be told they need further tests when they do not have a problem in the end. Others will be told they do not have a problem and then they are diagnosed with breast cancer a short while later. About 4,000 women each year in the UK are estimated to be diagnosed with a cancer that would not have become life-threatening if left untreated. 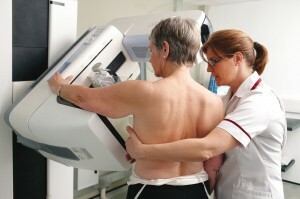 However it is rare that cancers are missed through breast screening. All mammograms are read and re-read in an effort to get accurate results, but mammography is not a perfect test. It picks up most breast cancers, but misses them in about 1 in 2,500 women. It is precisely because of this that we take our responsibility to provide women with clear explanations of the benefits and harms of breast screening very seriously so that the information is fair, balanced and easy to understand so they can make an informed decision. Researchers are trying to find better ways to tell which women have life-threatening breast cancers and which women have cancers that are not likely to be fatal, but they’re not there yet. Breast cancer remains the most common type of cancer in the UK but there have been huge improvements in survival and screening has contributed to that. Every woman will receive her first breast screening invitation letter before her 53rd birthday. The programme does not invite women to be screened when they are 71 or over but if a woman wishes to be screened she can talk to her GP or arrange for the tests to be done at her local screening service. Public Health England is currently carrying out research to look at the health benefits of inviting women earlier, aged 47 to 49, as well as later, aged 71 to 73, to see whether extending the age range of screening in this way will do more good than harm. 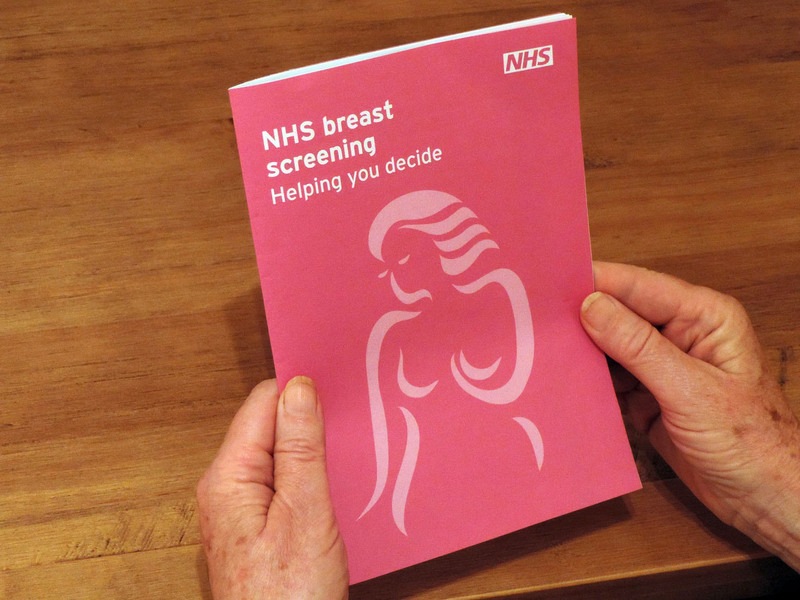 Screening is not a substitute for being health aware and any women worried about any changes in their breasts should see their GP immediately. When do women get their results? Letters with a woman’s breast screening results will be sent out within two weeks of her appointment. A copy will also be sent to her GP. So you can see, it is really important women know both the potential advantages and disadvantages of breast screening before deciding whether to attend their appointment or not. Obviously it’s a major worry for many women and just getting the invitation letter can be stressful. Most women just want to know what they should do. But it’s important that women understand both the pros and cons involved in breast screening and how it might impact on them. It is our job at Public Health England to make this choice as easy as possible and to support women in whatever path they decide to take. I have been called to screening and am not sure about whether to attend. My own mother had a small ductal carcinoma in situ (DCIS) detected in screening and consequently had a breast removed - and I now wonder if she was one of the 4,000 women who accepted unneccesary, painful, disfiguring, life-changing surgery as a result. While we can’t comment specifically on your mother’s case, we can provide you with further information to help you make up your mind about whether to take up your own breast screening appointment. Not all cases of ductal carcinoma in situ (DCIS) will progress to cancer but at the moment doctors cannot say for certain which will be okay to leave and which will need surgery. However our understanding of DCIS is improving all the time and there is research work going on as we write http://www.cancerscreening.nhs.uk/breastscreen/research-sloane-project.html so that the best and most up to date knowledge can be discussed between the clinician and the woman when deciding what is best for her. I was speaking to my friend yesterday about the early diagnosis of her friend and how this had helped her in coping with longer term treatment. What was very obvious was the need for information for the family too, so they could know how to best help and support too. Thanks for the very informative blog Anne. And this article from the BMJ gives food for thought! Interesting research for my preparation for interview as a Breast Screening Nurse to help with enquiries from patients to assist them with their choice.